If you need a high quality bespoke window to match the style of your home or business, Camberley Glass and Windows can provide it. We recognise that a bespoke window should be perfect, and we are committed to provide the perfect window for your property. Camberley Glass and Windows is a respected local company that has been satisfying the glass and glazing needs of the people of Surrey for nearly 50 years. Our reputation has been built on customer care, attention to detail, and a professional approach. You can see the feedback from our customers in the testimonials on our website and in our high ratings on Checkatrade. We are also very pleased that much of our business comes from personal recommendation. In addition we are on the Buckinghamshire and Surrey Trading Standards Approved list of traders. Our windows are available in a variety of materials, textures, and finishes, so you can be sure to find what you need whatever style you are looking for; sash, casement, bow or bay. Security of our windows features very highly on our list of provisions, with push button, multi lock handles and mechanisms fitted as standard. We can also accommodate whatever window furniture and size of windows you wish. All our windows come with a fully insured guarantee and are manufactured to exceed British Trading Standards. The staff we employ are not commission based sales staff but advisers who will give you the best help available. Our team is FENSA registered and fully qualified in all aspects of the correct requirements and regulations so that you can be sure that your windows will be made and installed to the highest standards. 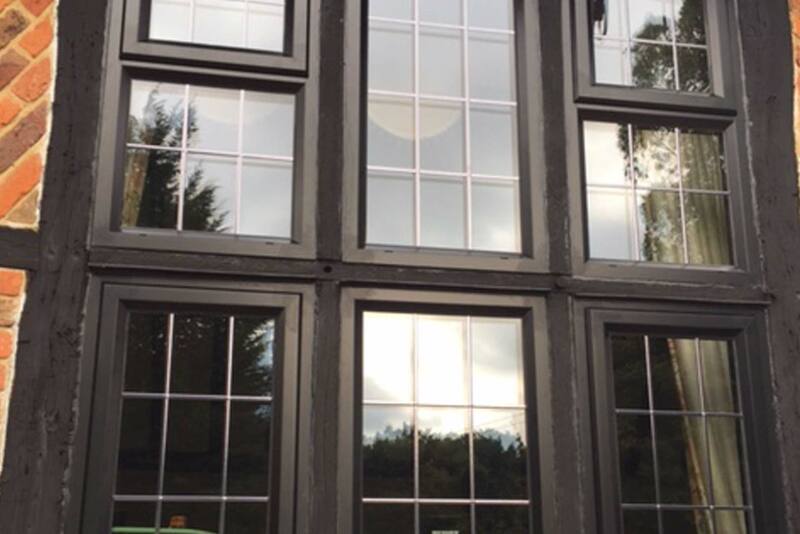 If you are seeking a custom window, made to the highest specifications and installed professionally please contact us or visit our showrooms at our offices in Camberley, Surrey, and we will be happy to answer any questions and give you the help you need for your custom window requirements.